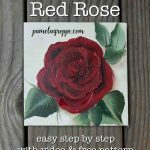 Here is an easy paint a red rose tutorial for you! 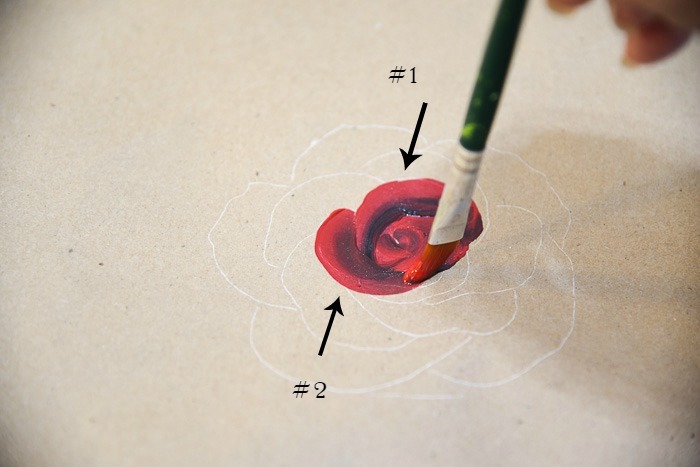 Painting red roses can be tricky because of the nature of red paint. 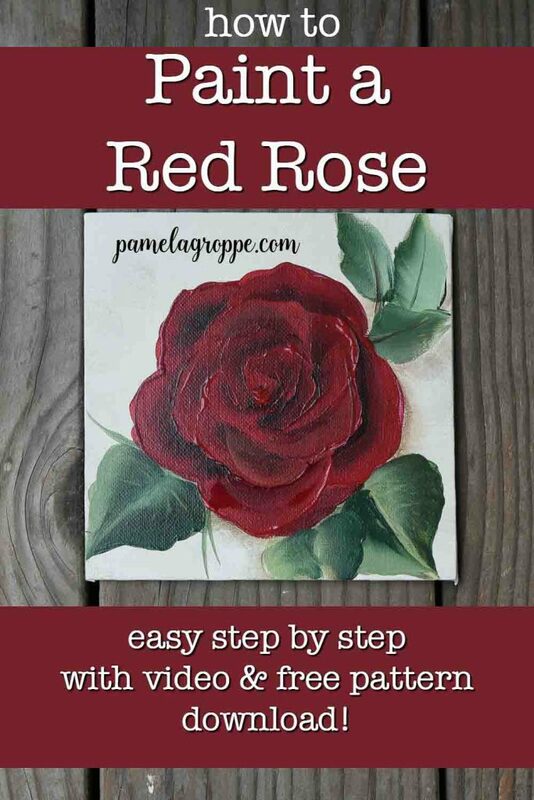 I show you how to paint this step by step. 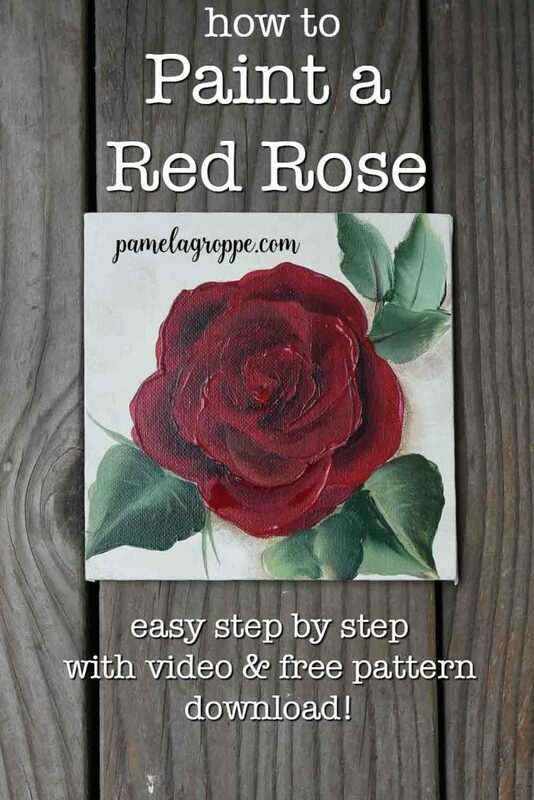 Let’s paint a red rose, a step by step tutorial with video that makes it easier for everyone! 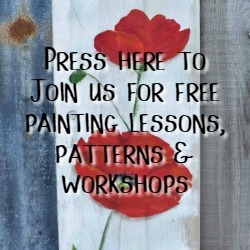 Beginner friendly and fun for experienced painters too! No time now? PIN for later.. 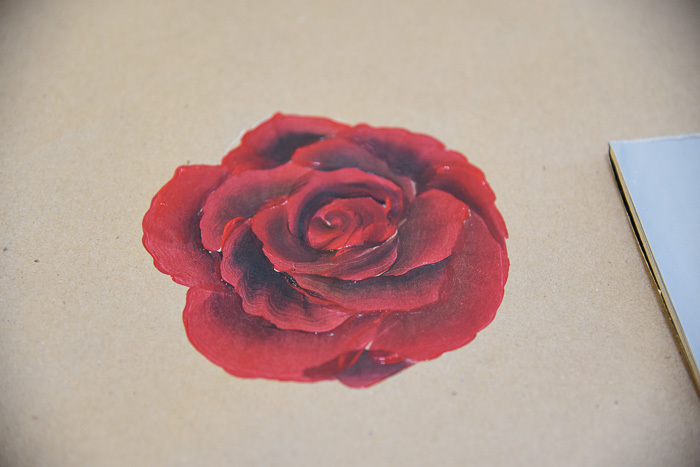 I could never paint red roses to my liking and I finally figured out I was going about it backwards. This method is so easy it makes me wonder why it took me so long to get it. I am still testing different reds for more variety but this is what we have for now. I used a #12 Flat one stroke brush throughout. On another rose I used a round for the center. I like both the same. Also worth noting, the dark color will begin to walk over into the red and you reload again and again. Clean out your brush and reload fresh to keep it from muddying up your paint. 2. Look at your pattern, carefully determine which stroke should come next. The petals grow in a spiral around the center. I chose the one closest to the center. 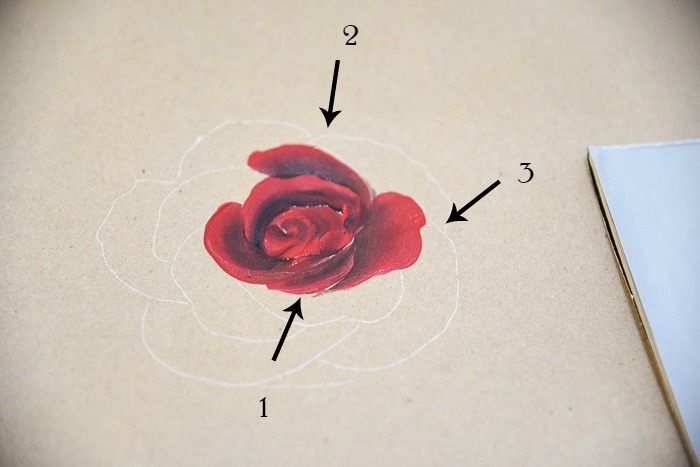 Using a comma stroke with the black towards the center I stroke in the next petal. You will note it is not a perfect comma stroke. Don’t worry about being perfect! We are going for an effect not perfection or realism. Reload your brush frequently, if not every stroke, as you work. If the black starts taking over the red, wash and reload. 3. Working around the center stroke in your next two strokes. These are comma strokes. Remember, you can use the same pattern over and over and you will never create the exact same rose, embrace the diversity. 4. Add the next 3 strokes. The first one is more of a chisel stroke than a comma stroke. 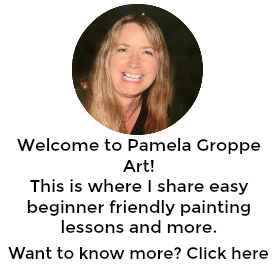 You will also note that the comma strokes vary in size and width. 5. By this time really check your brush to be sure the shadow color is not beginning to take over your red. The next 3 strokes are shown in order here but you will note how #3 is too dark, the shadow color has walked across to the red and overpowers it. 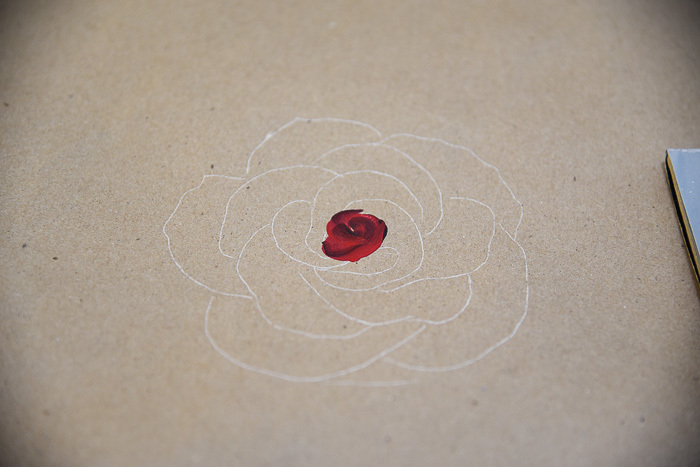 I will over-stroke that petal with more red but it is hard to cover the dark well. It will tend to dull that petal. 6. Continue to layer petals in a logical order. The video will be most helpful when you view it. 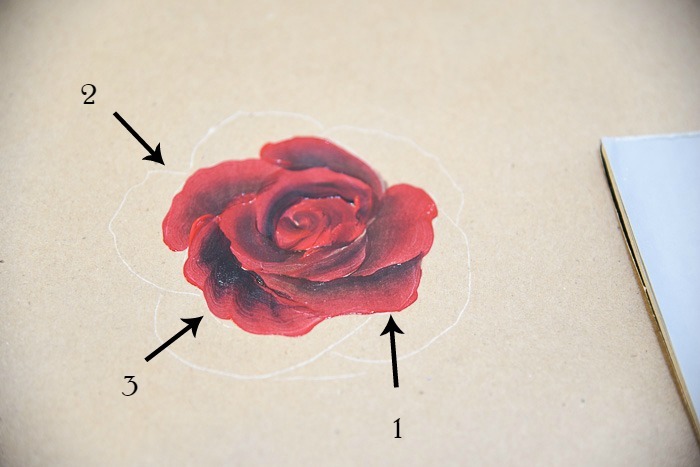 The outer petals really start to make it look like a rose. You can add in a touch of a more orange red to the red side of the brush to give it a highlight. To keep the rose looking red and dramatic only highlight with an orange, if you use white it will tend to make it look pink. 7. 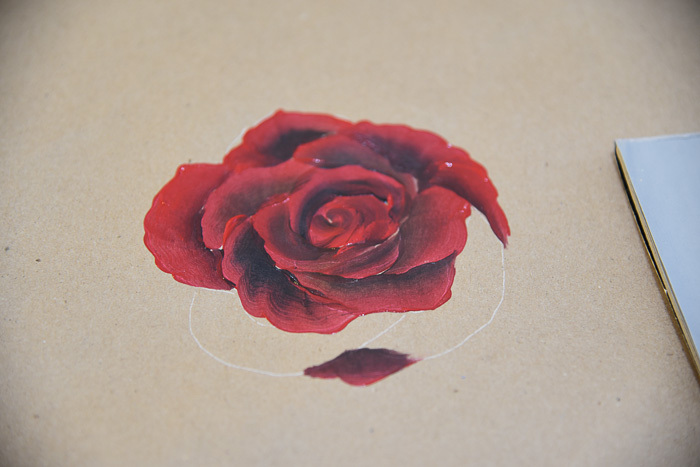 Now add the final petals and step back to see what it may need. Do you have some gaps showing? 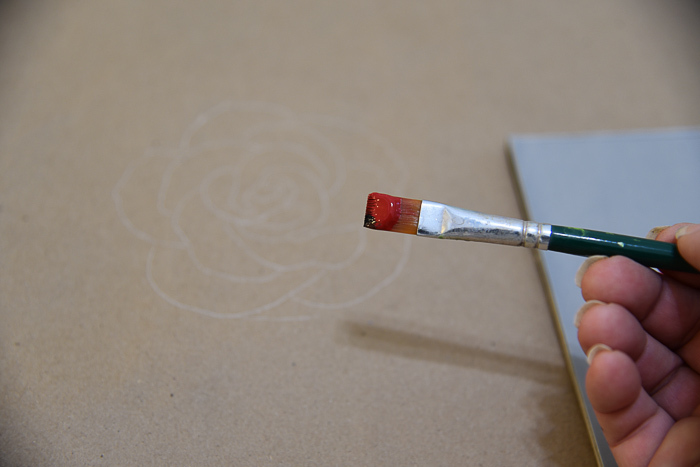 Just tap some paint in with the corner of your brush, or if you like, use a script liner with a touch of paint on it. 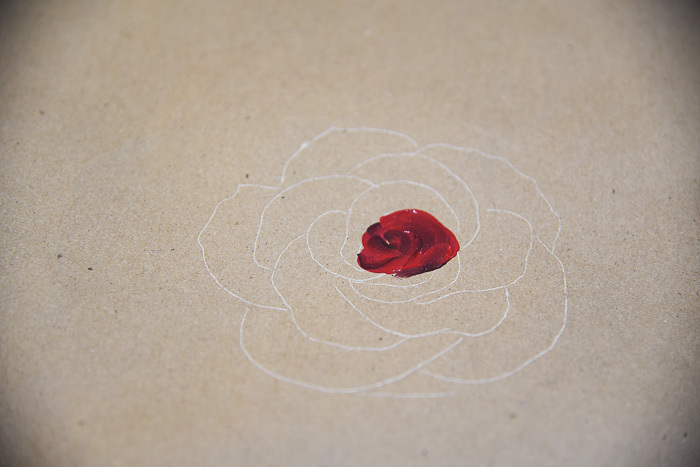 In the video I paint the red rose on a light colored background. With red you want to undercoat with a red to give it depth. Red acrylics are not opaque and you need that extra layer to achieve that deep rich red. The pattern is in the Resource Library, current subscribers you have the password in your latest email. Not yet a subscriber? Please fill out this form to gain access to this printable pattern and more in the Resource Library. Beautiful color and fantastic rose!!! I’m going to try this rose. I’tried Several and have not been happy with the one s I,be done. Will post when finished. Thank you for the drawing as it makes sense. Thank you Pamela!! Love the red rose! I think I can do it!! Thanks Pamela. I love your “back-to-front” explanation and theory. It really works and I will give it a try.